Shinjiro Torii was the entrepreneur behind the birth of Japanese Whisky. A pharmaceutical wholesaler and port wine importer, he hired the son of a sake producer, Masataka Taketsuru, and sent him to Scotland in 1918 to learn the craft of Scotch Whisky production. On Taketsuru's return in 1920, Torii established the Yamazaki distillery under the Kotobukiya Co. (which later became Suntory) with Taketsuru as his distillery manager. 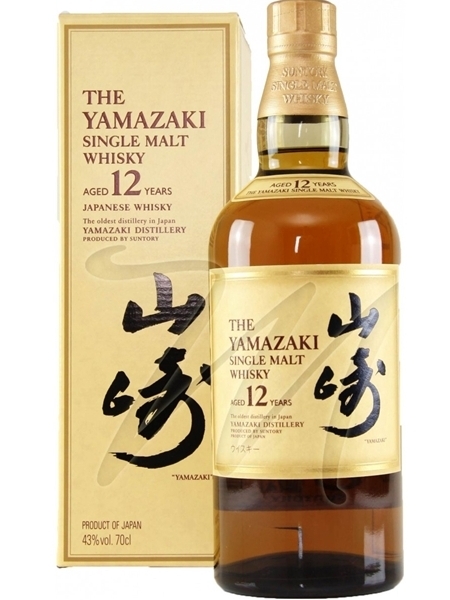 Yamazaki 12 year old (~€62) single malt is matured in 3 types of oak - American, European and Japanese (mizunara) and bottled at 43% ABV.